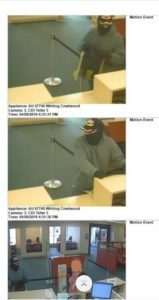 On Tuesday, April 9, 2019, at approximately 4:35 pm hours, the Manchester Township Police Department received a hold-up alarm from the Wells Fargo Bank located at 501 Route 530 in the Whiting section of the Township. While en route to the bank, responding officers learned that a male subject had entered the establishment, demanded money, and after receiving an undisclosed amount of cash, fled the bank on foot. The officers were told that no weapon was displayed and that no force was used by the suspect during the robbery. Numerous officers, who immediately responded to the area, cordoned off the bank and ensured that everyone was safe inside. A search of the area was immediately begun, and included searches using police K-9s as well as the department’s drone. These searches were unsuccessful in locating the suspect. The suspect was described as a white male, approximately 6’ tall, with an average build. He was said to be wearing a black mask, black gloves, sunglasses, a black baseball cap and a dark colored sweatshirt. 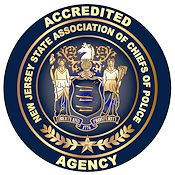 Assisting at the scene were crime scene detectives and sheriff’s officers from the Ocean County Sheriff’s Office as well as Special Agents from the FBI’s Red Bank office. 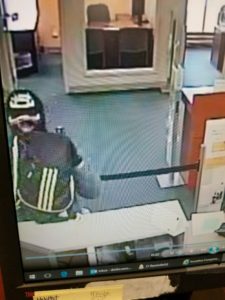 The robbery is being investigated by Detective Richard Jupinka of the department’s Investigations Bureau with the assistance of Special Agents from the FBI.